I’ve recently re-activated my personal blog on a wordpress site. 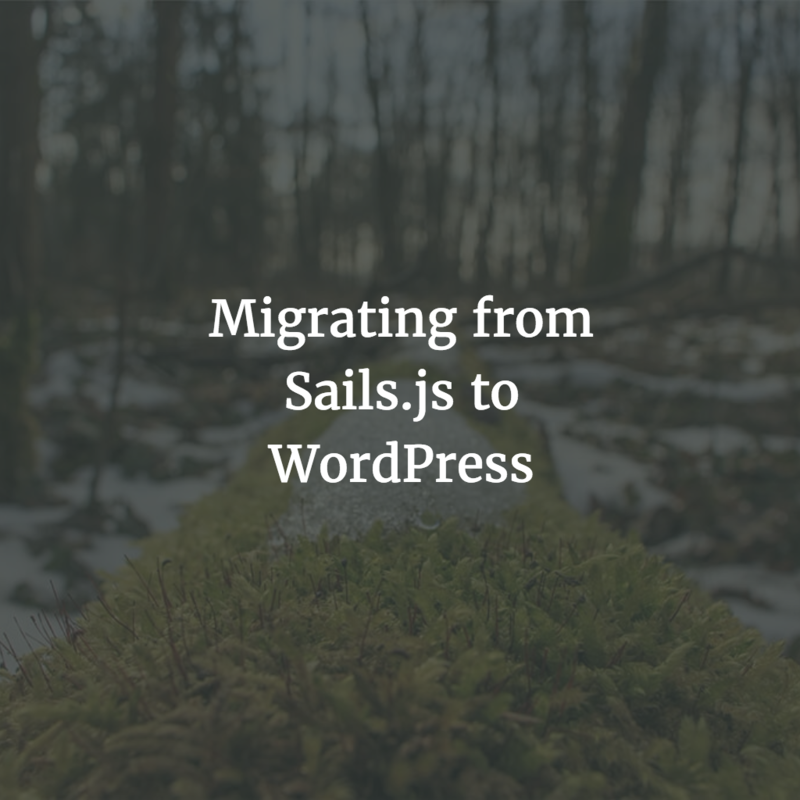 In late 2016 there was some kind of issue with the node.js cms-on-sails app, and it stopped the site from loading. For a few months I just redirected it to my twitter account, but now I’ve brought the content back onto wordpress. My goal with this version is simply maintainability. WordPress and PHP in general are not the prettiest kind of code but they get the job done for millions of websites. Expect some more blog posts throughout the year.